Exodus is a newly released Sega Genesis/Mega Drive cycle accurate emulator that has been in development for several years. 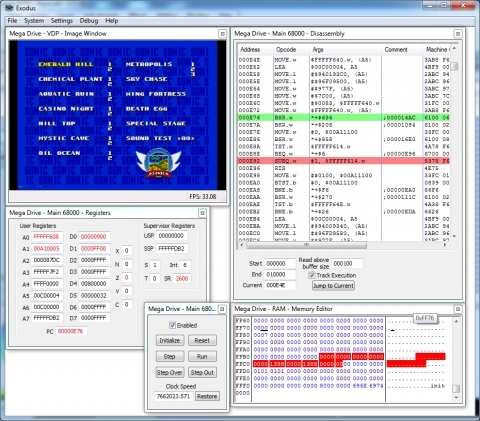 In addition to accurate emulation, a full set of debugging tools are available to aid in hacking the system. The author has plans to support more systems in the future. Please note that system requirements are high in order to run the emulator at full speed. You may also visit the website below to read up on current documentation on the program and also donate to the author if you wish support.